Walter aged 28 a pugilist (boxing) instructor. Walter served in the 10th Battallion of the Hampshire Regiment. 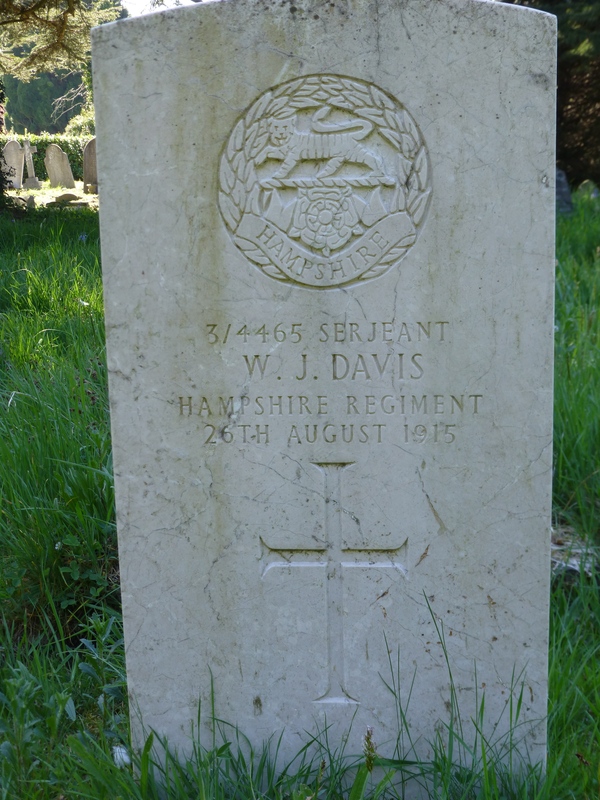 He died at home in Southampton on 26th August 1915 as a result of wounds suffered in battle. He is buried in Southampton Old Cemetery (Grave reference 192 F5). Ada remarried in June 1917 to a Mr Passfield and the family lived at 50 Imperial Avenue, Millbrook, Southampton.